New LG Studio Kitchen At Best Buy! 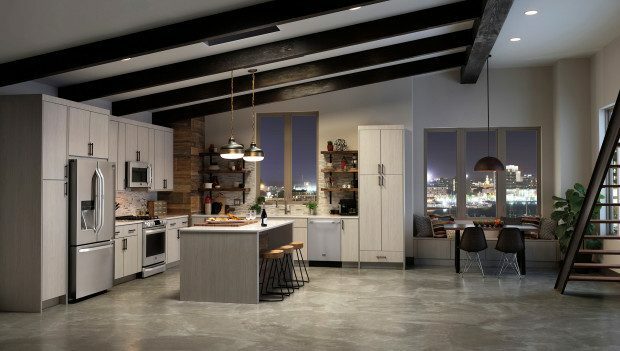 You are here: Home / Sponsored / New LG Studio Kitchen At Best Buy! I had the opportunity to visit the Best Buy Suite at a conference in Atlanta a few weeks ago and was able to see the new LG Studio Line. This was the kitchen you dream about, you should have seen all of the products in this line! Well, you CAN see them now at Best Buy! With these products you can make cool changes to your kitchen or create a completely new kitchen design! I would love the use all the great items I saw there to create a few of my own recipes! Also, you can create a premium kitchen with Nate Berkus, LG Studio Artistic Advisor, design inspired appliances, integrated with today’s modern kitchen. LG Studio is the finest expression of pro-style aesthetics and performances. It’s the kitchen you’ve always wanted. Just watch Nate’s videos and see more of Nate’s tips for creating your forever kitchen! The cutting-edge appliance technology blended with energy savings capabilities and state-of-the-art functionality goes far beyond just delivering your everyday needs. Every LG Studio appliance is crafted from the highest-quality, premium materials and meticulously designed to incorporate thoughtful, innovative features for a kitchen that’s distinctly your own. · FREE delivery, haul-away & recycling on Major Appliance purchases $399 and up.